Those proposed changes never took place, except on a small number of users’ profiles, and ultimately were abandoned. Thursday’s update is an alternative that Facebook’s news feed product manager Greg Marra told Re/code takes user feedback from the past year into account. 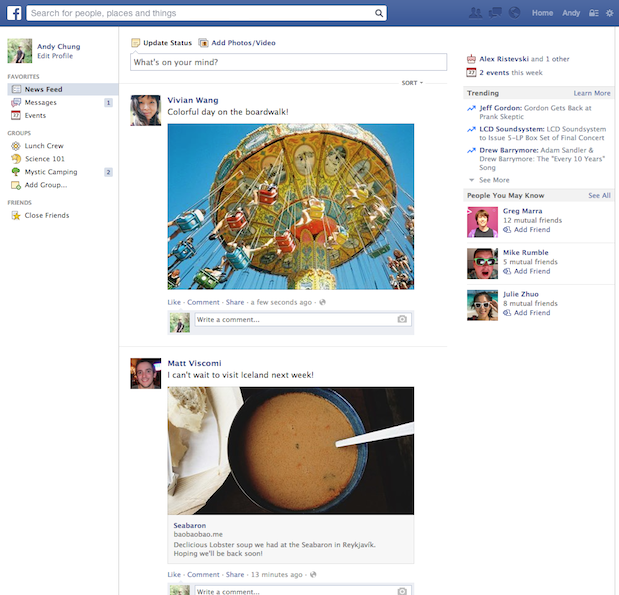 Facebook’s redesign for the news feed, announced Thursday, includes larger photos and new fonts. There are other slight changes to the redesign, like larger buttons added to the “people you may know” section along the right rail and slight design tweaks to icons on the “update status” and the “add photos/videos” tabs across the top. 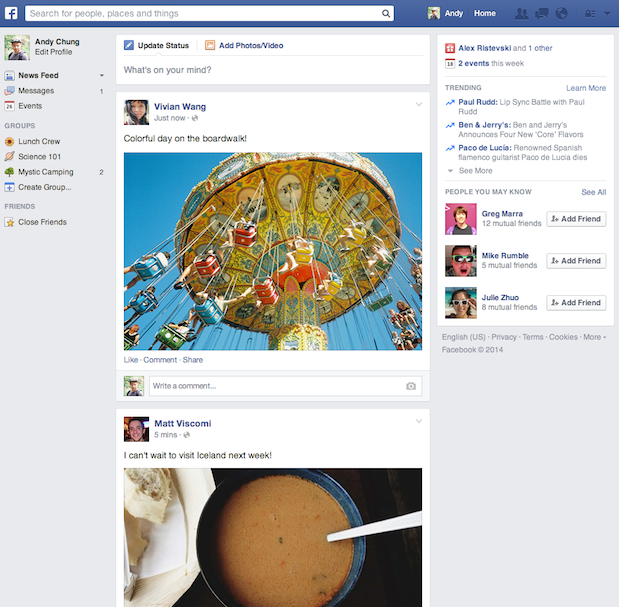 The new look will not impact the way stories or ads are surfaced, however. Images for both ads and organic stories will be the same size, as they are on mobile.